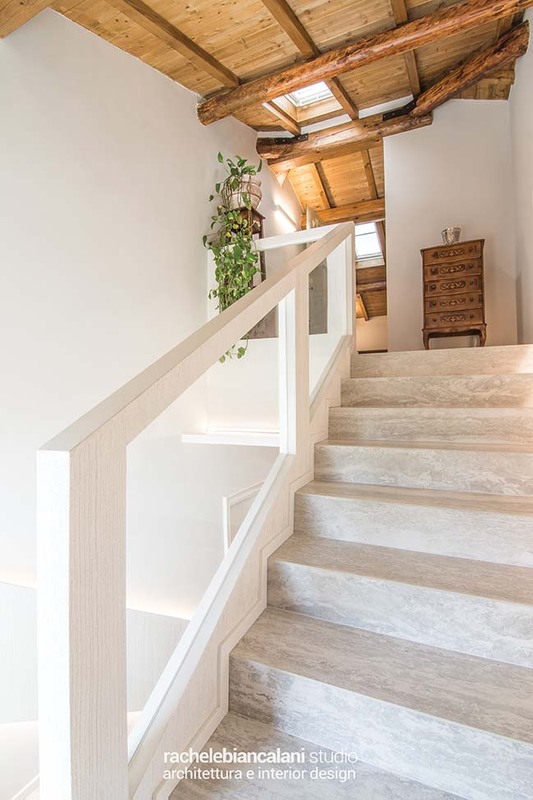 The Refurbishment with extension of this Villa between Florence and Arezzo, in Tuscany has involved all-round the Studio Rachele Biancalani who took care of every single aspect of the Architectural Design and Interior Design from the definition of the Architectural Layout of all three floors deciding that demolitions and that reconstructions to perform, to the design of the loggia added with the enlargement of the villa up to the Lighting Design Project and to the design of the numerous custom-made furnishings of the Villa. 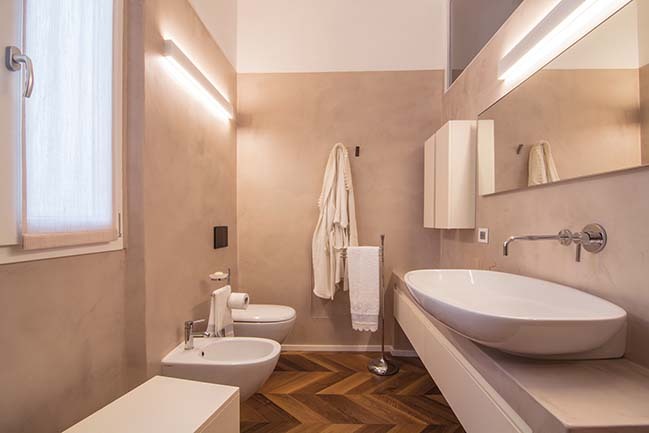 From the architect: All the chromatic choices from the color of the external plasters to the last of the four bathrooms, all the materials used indoors and outdoors, the design, the color, the shape of the fixtures realized on the project have been designed and shared between the Designer and the Client. 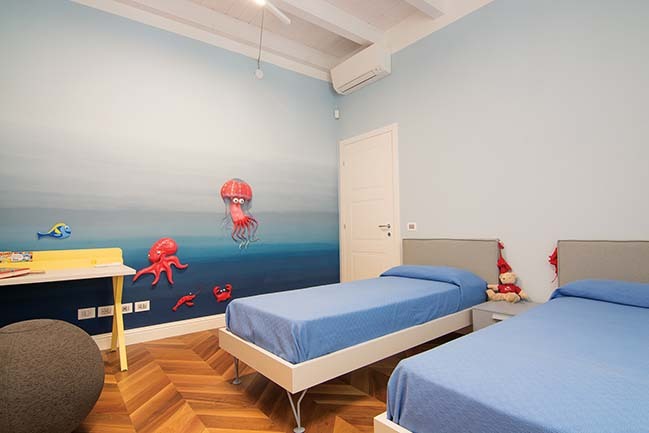 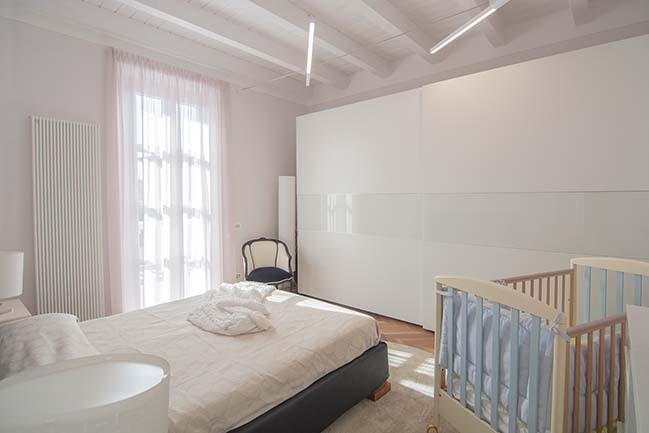 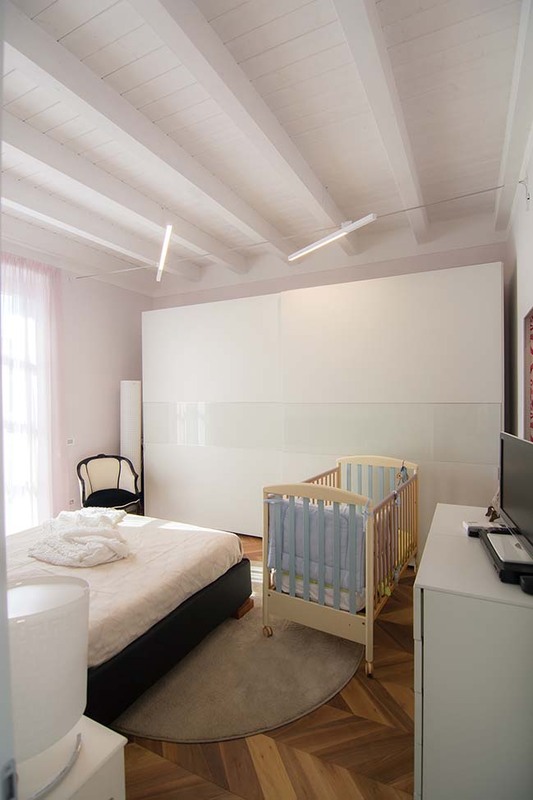 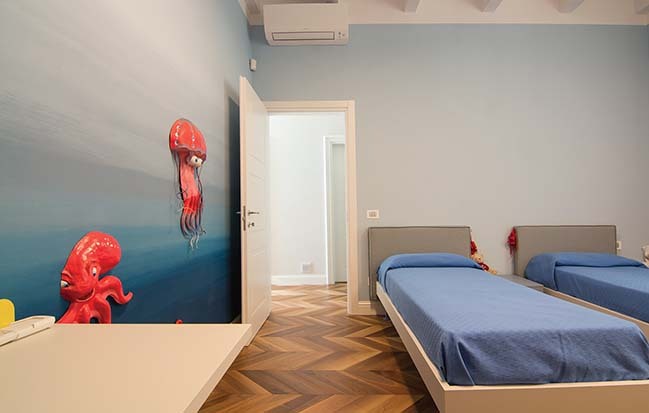 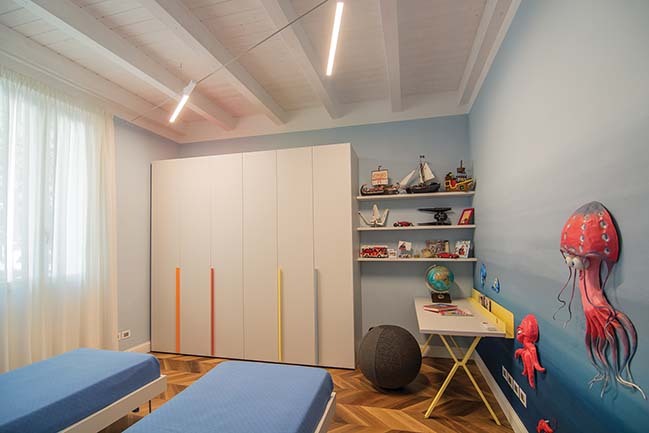 As often happens the Client was composed of four subjects of different ages, each with different tastes and different needs that made it very complex by the Studio of Rachele Biancalani to grant all the sounds and at the same time maintain a design integrity for all the years in which the planning and execution of the works lasted. 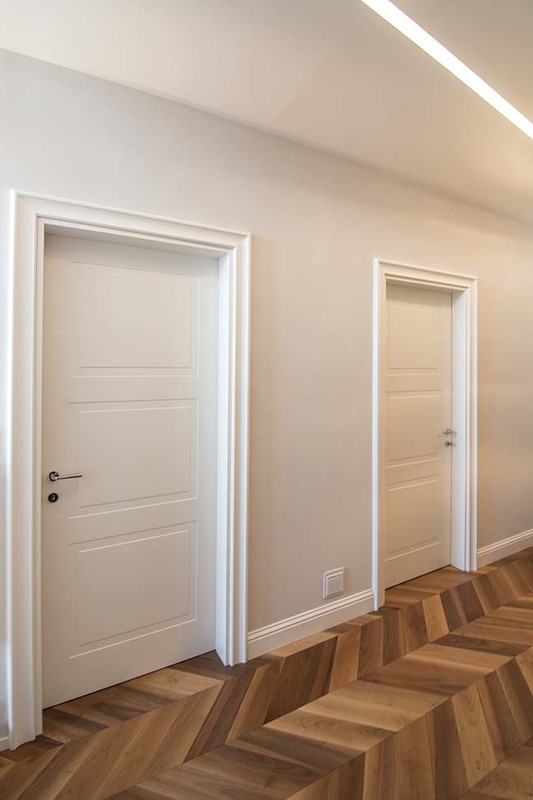 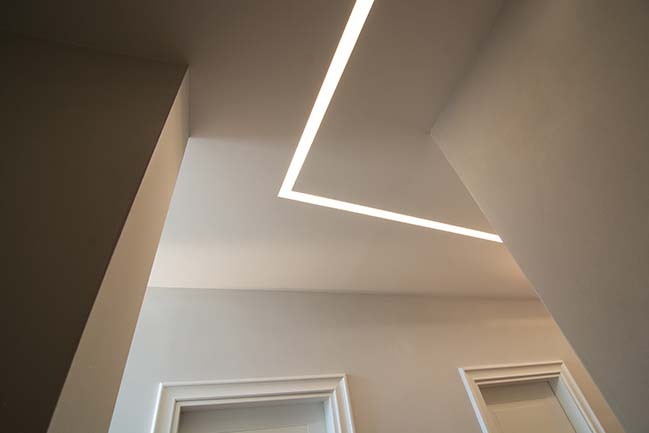 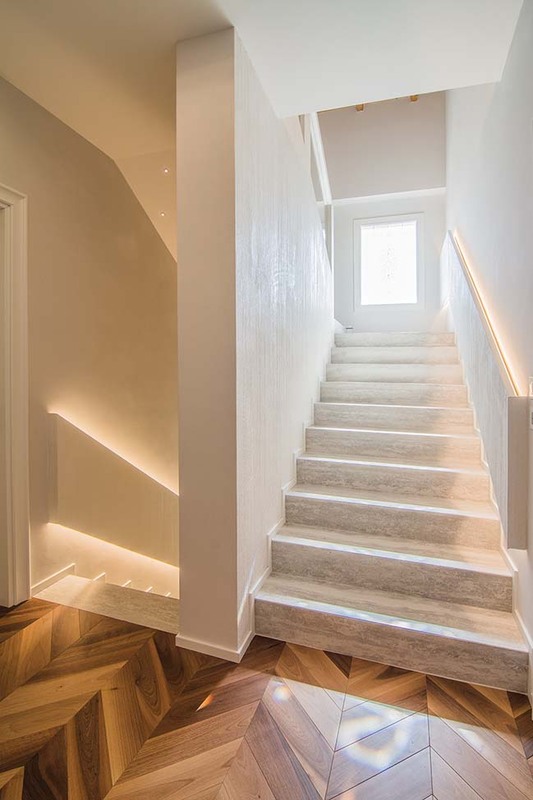 Another major difficulty encountered by the designer was working, at least initially, with workers chosen independently by the client who proved unsuitable to perform such refined work that, as projected, provided for the insertion of details such as doors and flush doors , grazing lighting, bathrooms with many masonry elements to be covered in resin and lighting fixtures integrated into the wall itself. 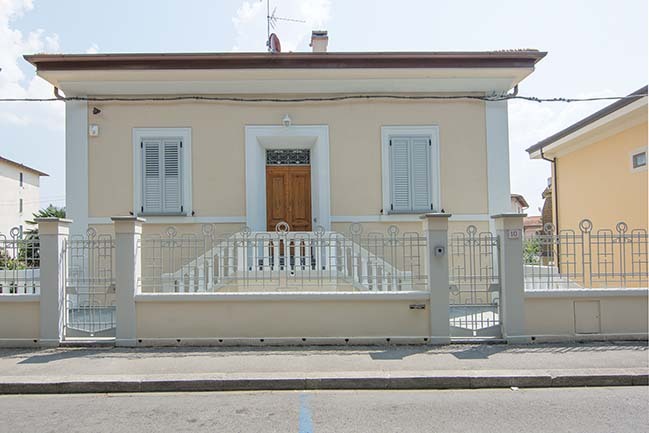 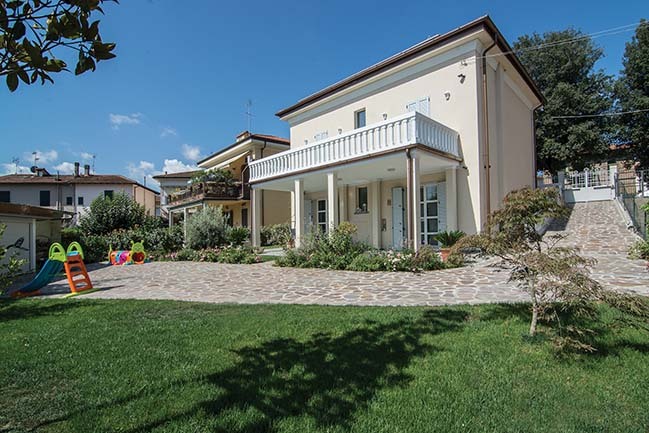 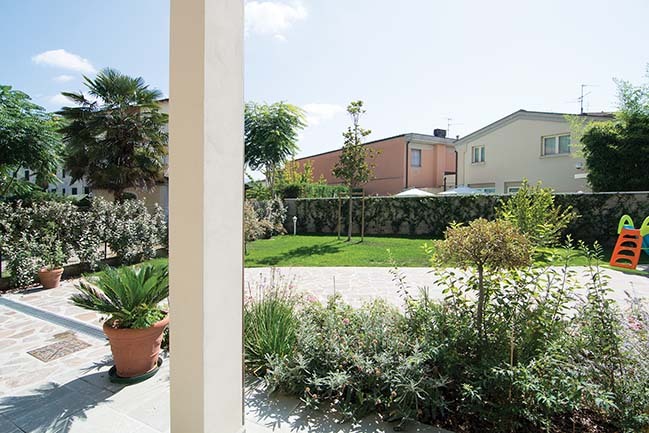 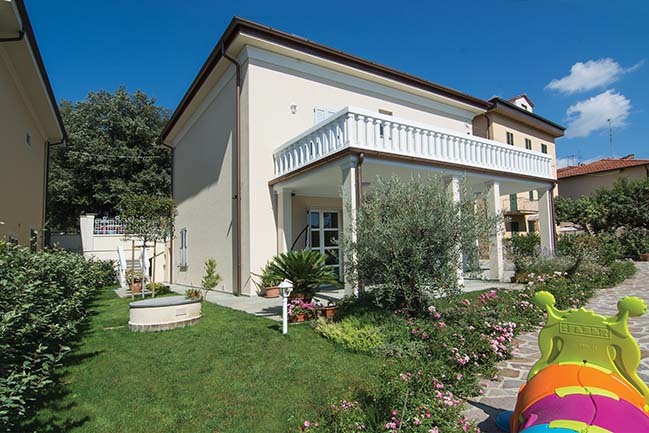 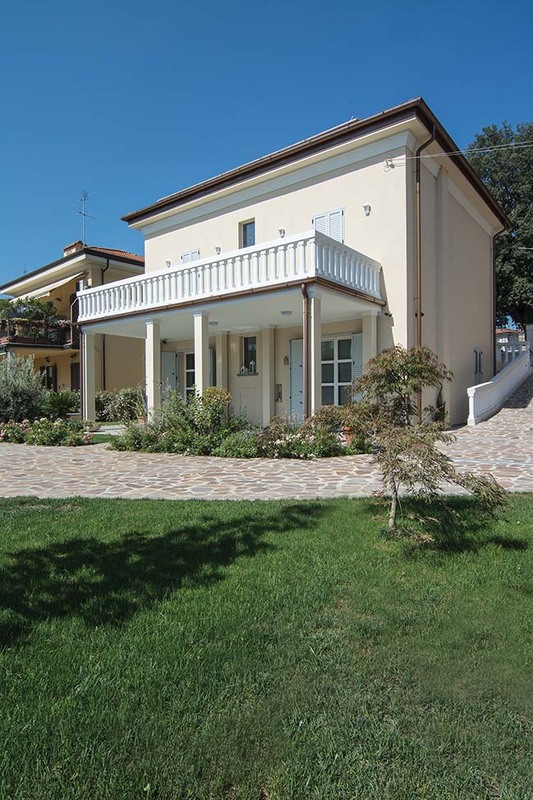 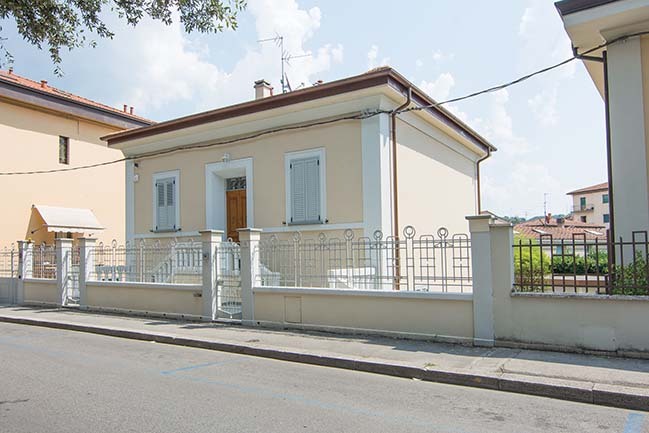 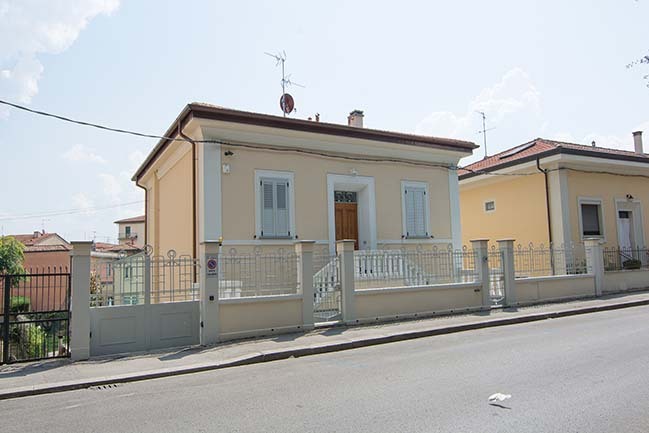 The villa of 350sqm is spread over three staggered levels at an altitude of -1 from the main road. 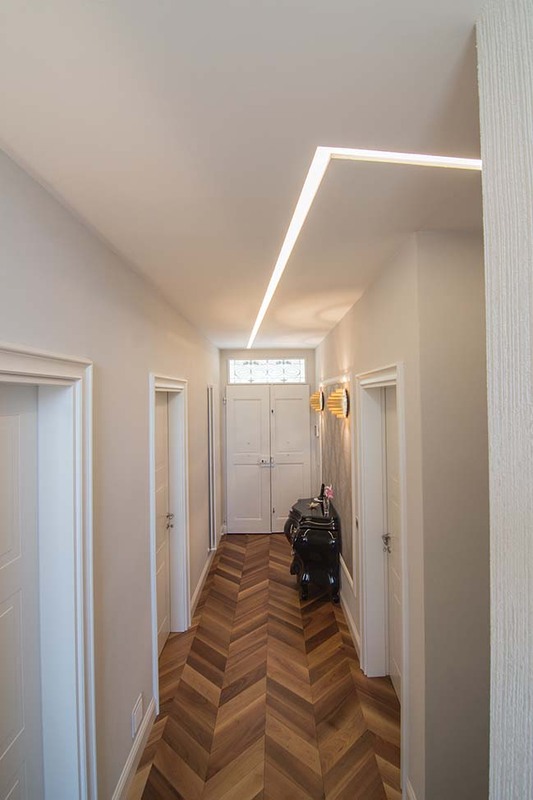 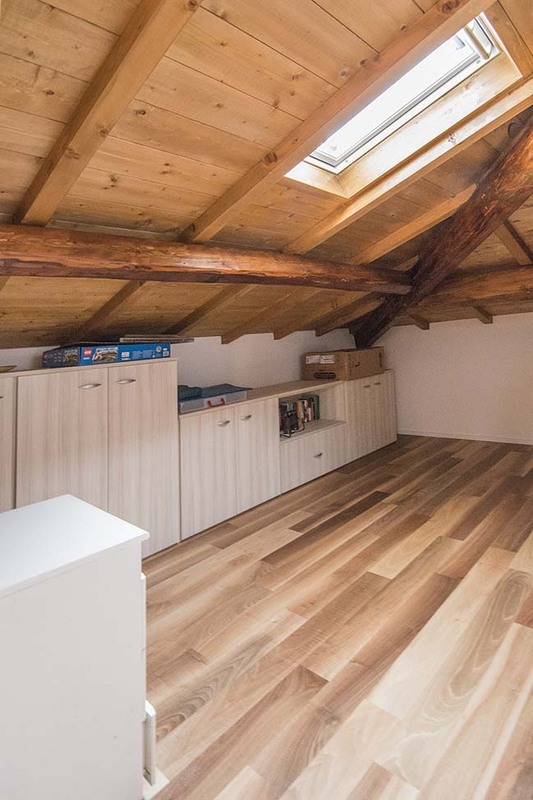 The first floor of the building, which can be accessed from the tree-lined street, houses the bedrooms and is characterized by the parquet in walnut mounted with a French plug; we found the same wood on the attic floor that houses a living room, a study, a bedroom in addition to the attic and a bathroom; on the ground floor with a large garden there is the living area characterized by white stoneware effect ceramic travertine REX. 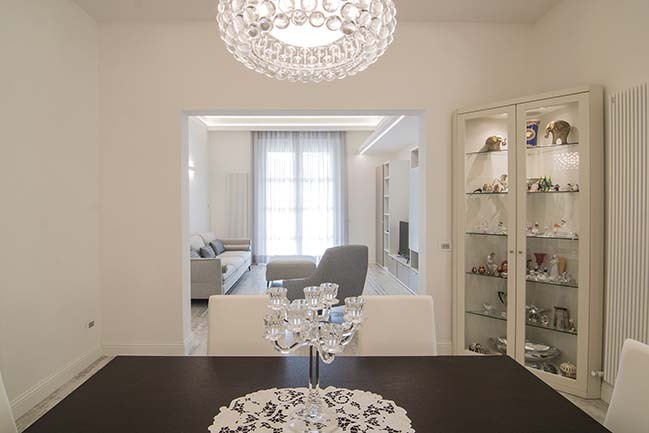 The Client wanted rooms with an elegant yet functional style, that is why the Designer completely revolutionized the ground floor plan (which previously housed an aesthetic center!) 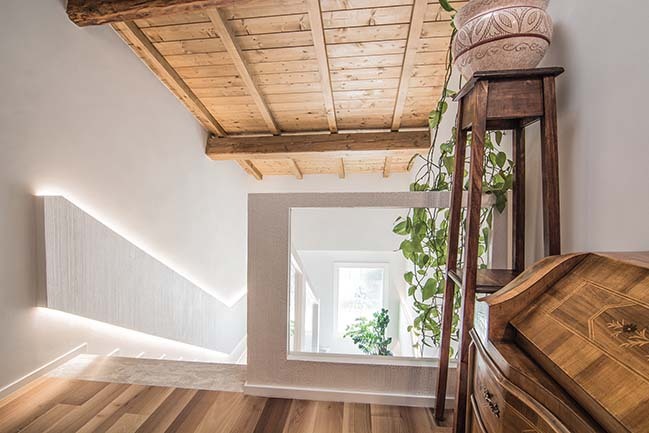 By expanding some openings both inside and on the façade, which made the communicating rooms letting natural light filter through the huge windows that have been designed according to plan. 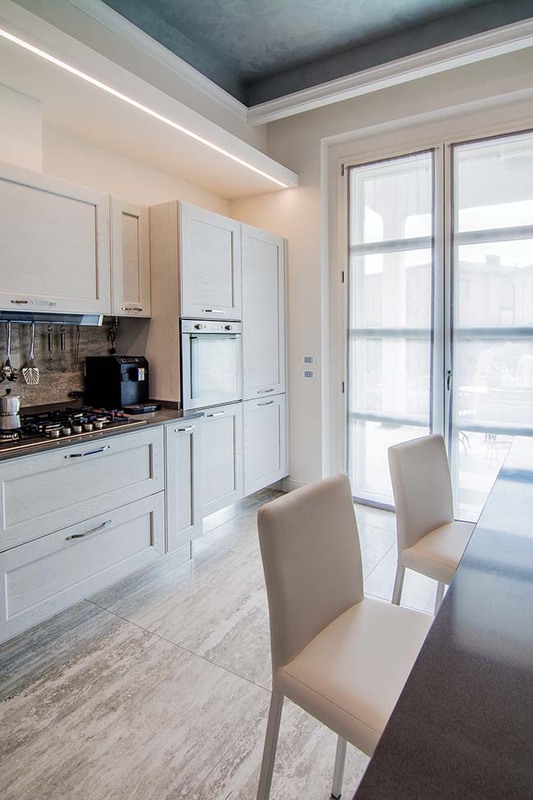 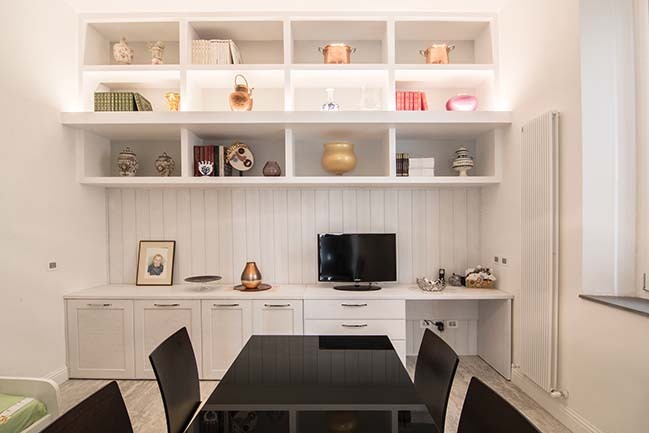 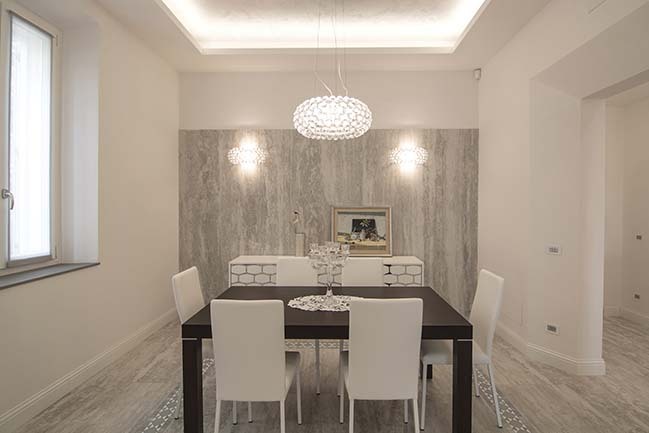 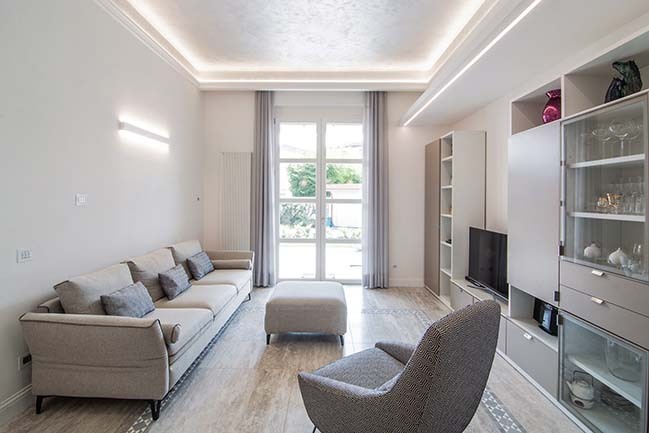 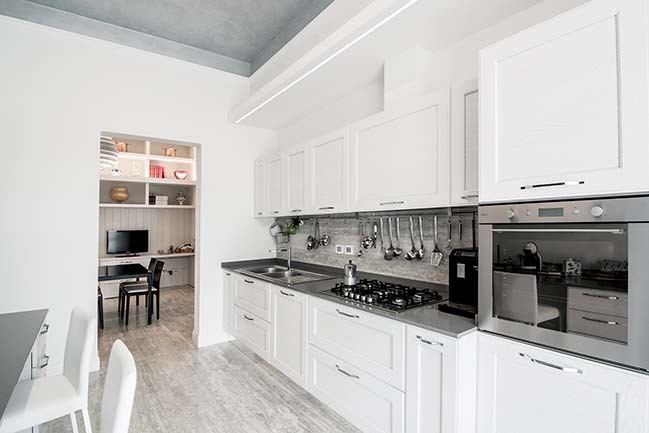 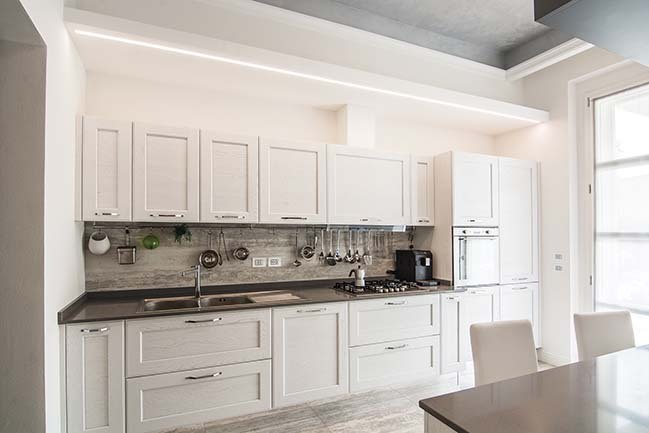 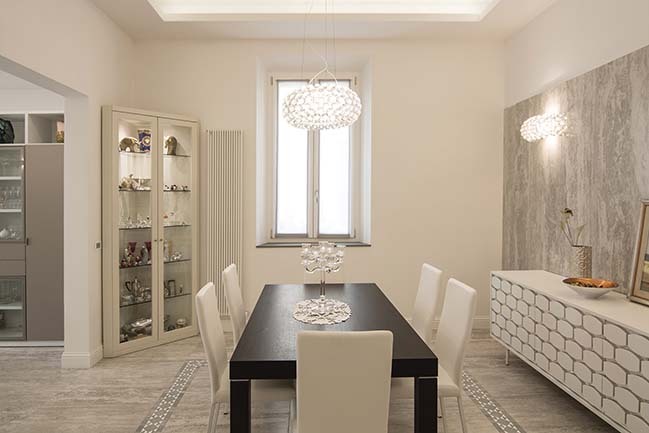 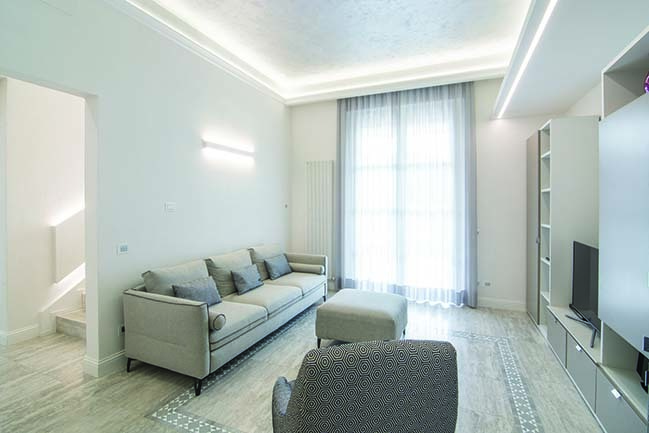 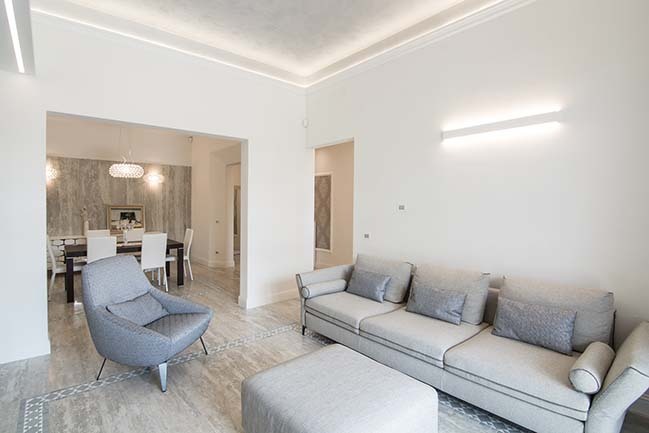 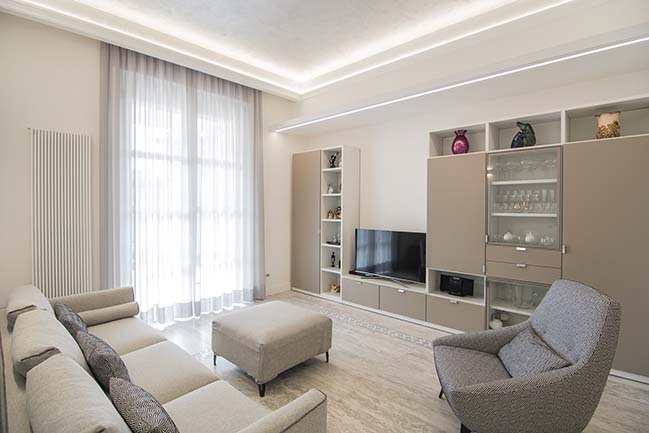 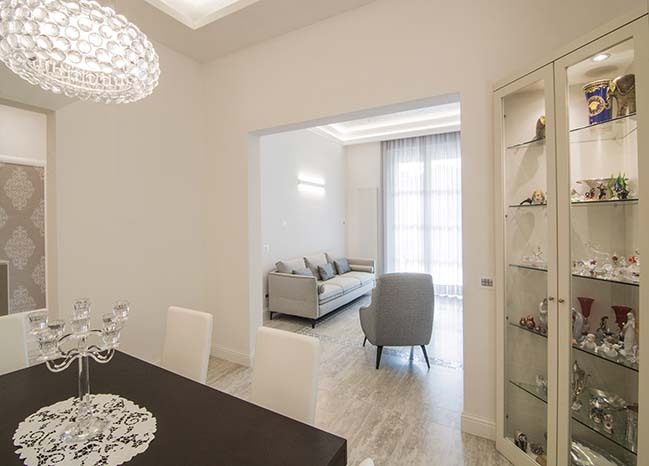 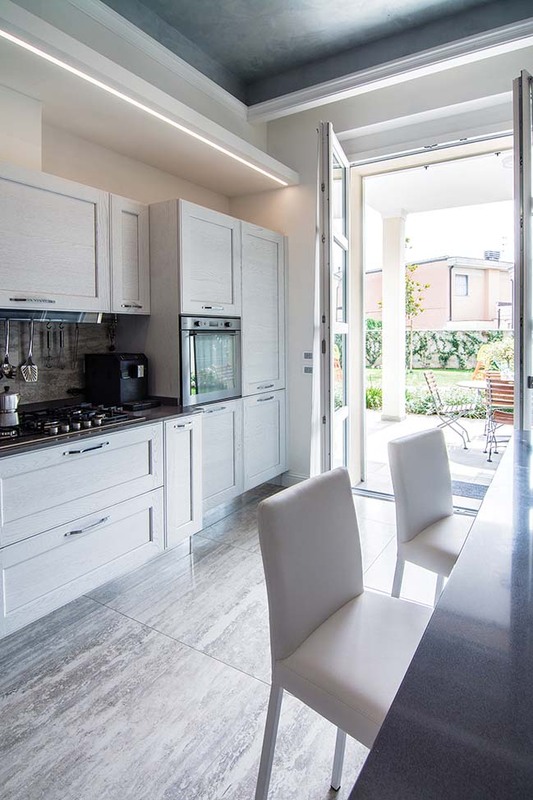 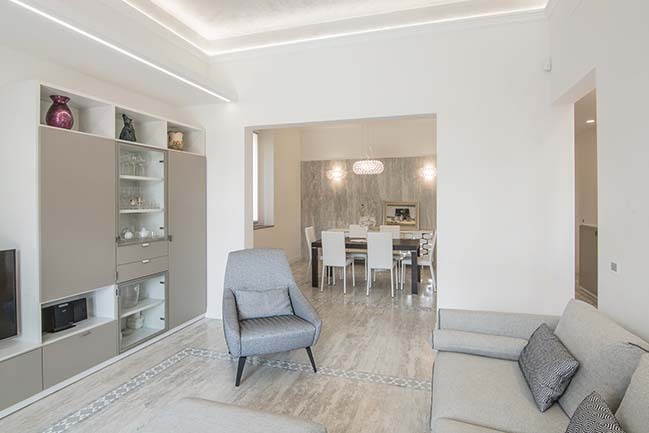 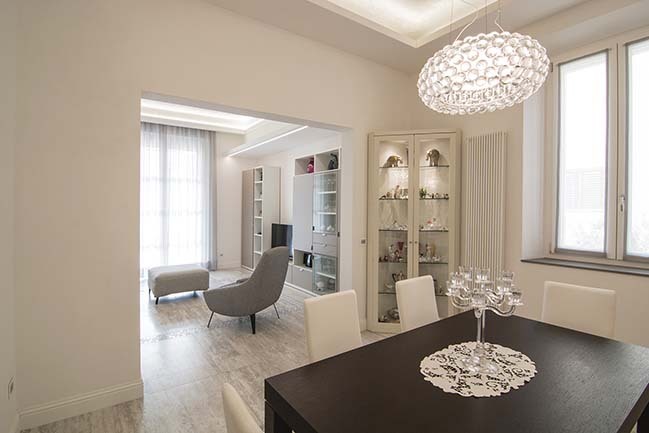 In the living area you can see the predominance of the white color with insertions of warm gray. 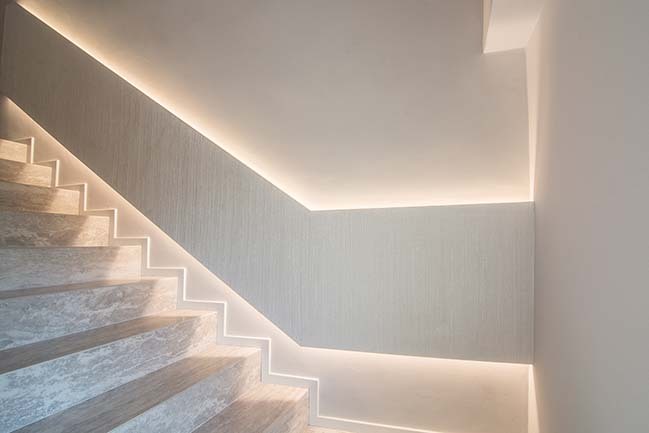 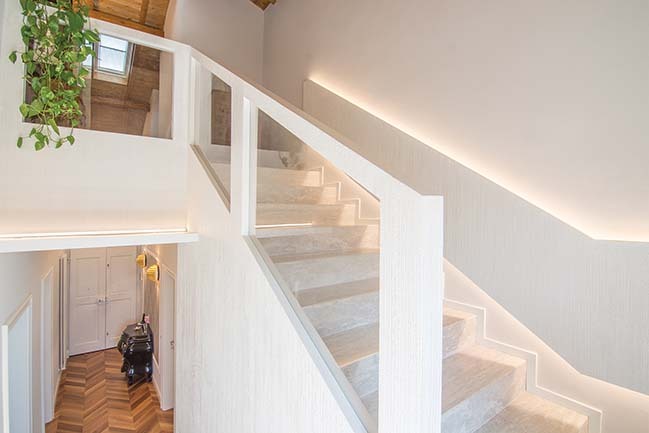 If you look carefully, however, the white has a texture that goes from the glitter to the "scraped" as you can easily see in the backlit plasterboard handrail made to a design by Rachele Biancalani that characterizes the stairway of all three floors. 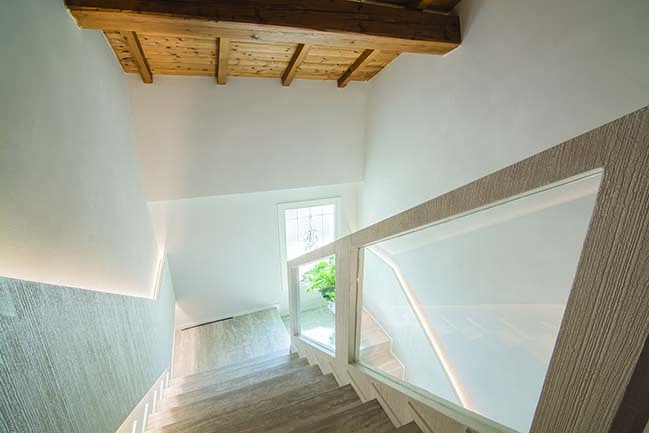 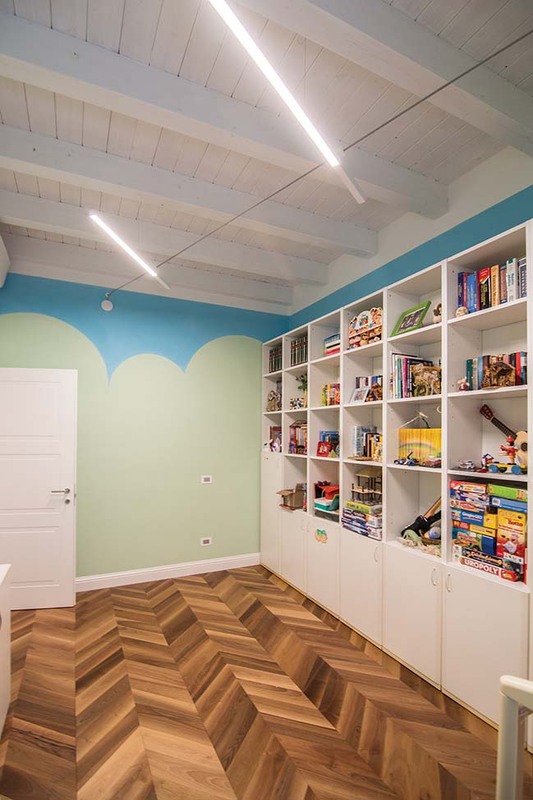 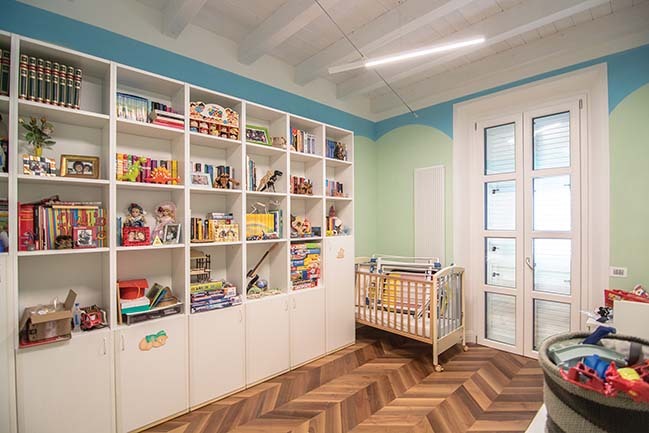 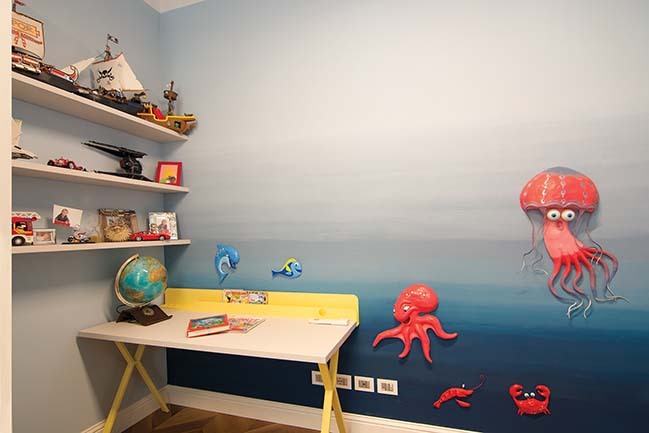 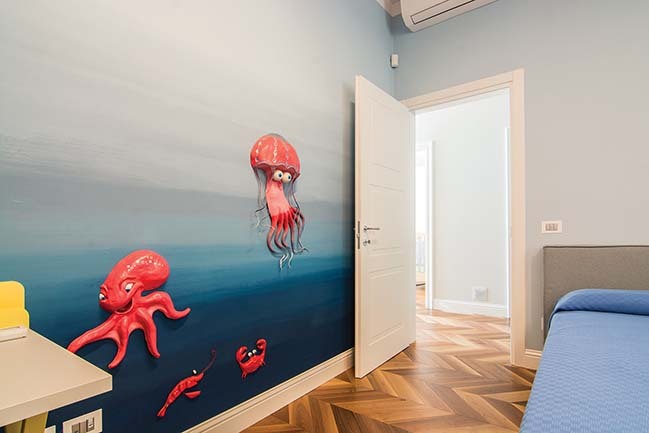 The products used for the whitewashing are Oikos on the ground floor and Sikkens on the first floor where we have an explosion of color in every room. 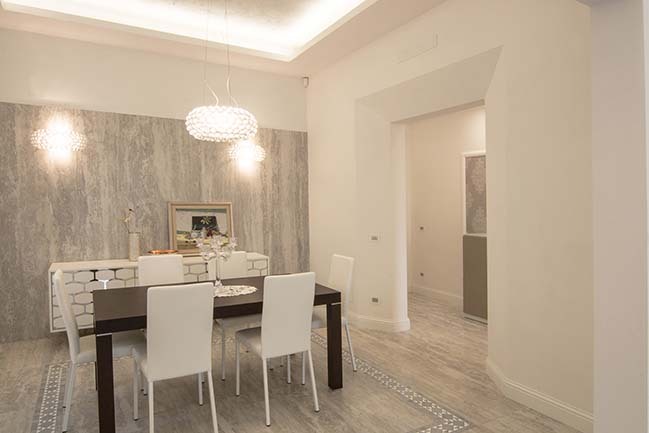 The ceilings of the three main rooms on the ground floor are made of Ottocento Antico Velluto di Oikos. 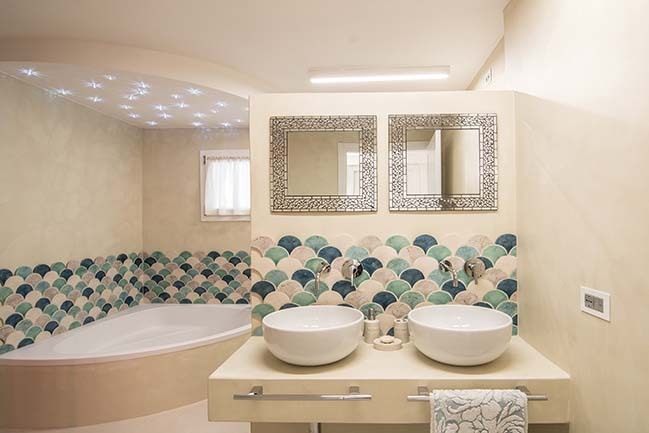 On the ground floor the only color note is represented in the "SPA" bathroom by hand-enamelled handmade tiles of Cotto Antiqua in five different colors, one of which is customized on request by the Designer who decided to combine them with a spatulated resin (Rapidmix) of a light colored butter. 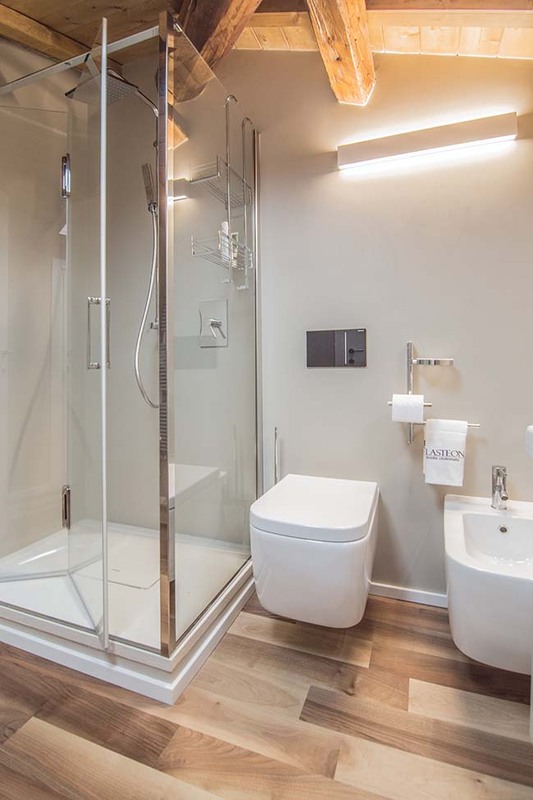 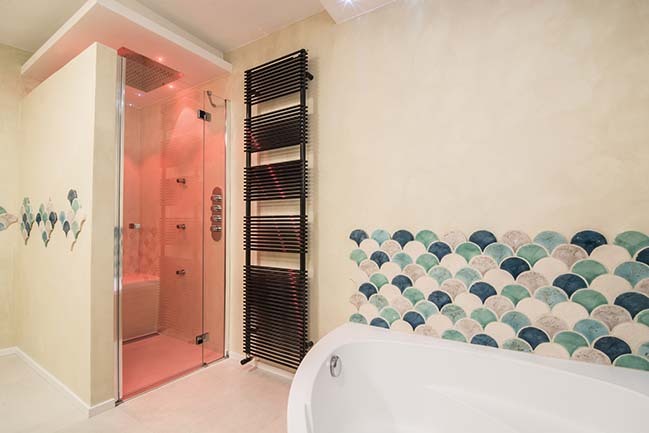 This large bathroom as well as two sink bowls houses a large corner bath with chromotherapy and a double shower with hydromassage jets, built-in seat and extra large shower head. 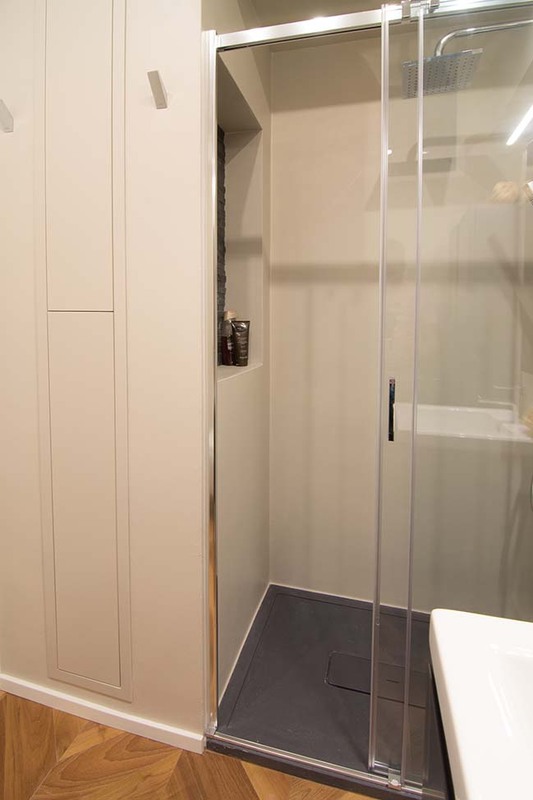 The first floor from the master bedroom leads directly to the walk-in closet leading to the master bathroom. 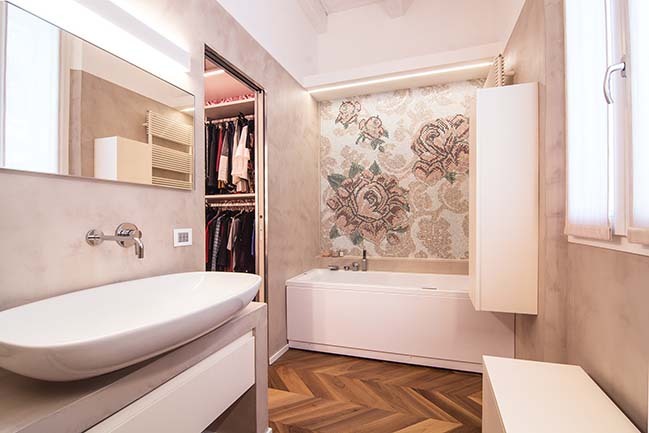 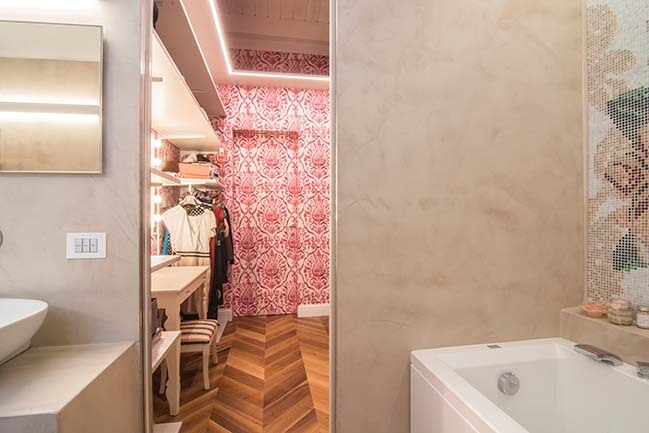 The walk-in closet has been custom-made and houses the "Ameliè" makeup console with matching mirror designed by Rachele Biancalani. 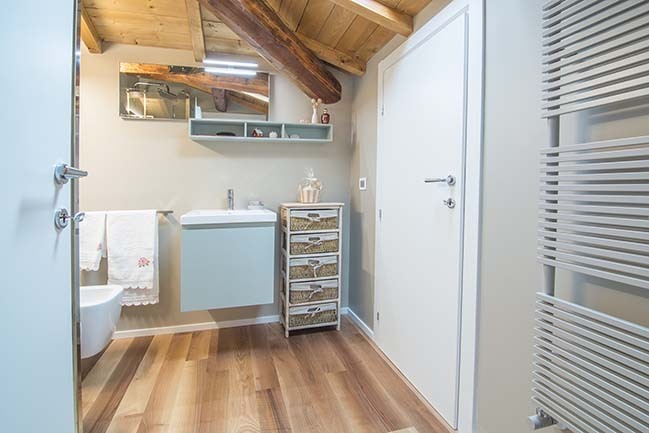 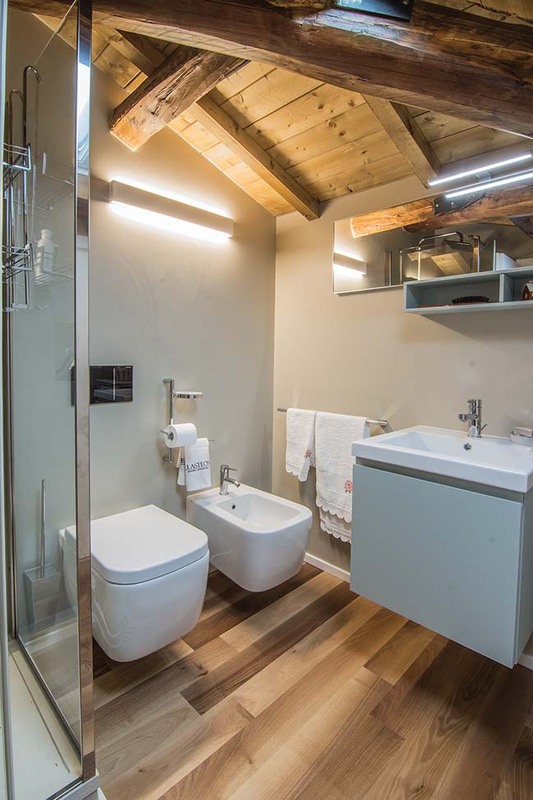 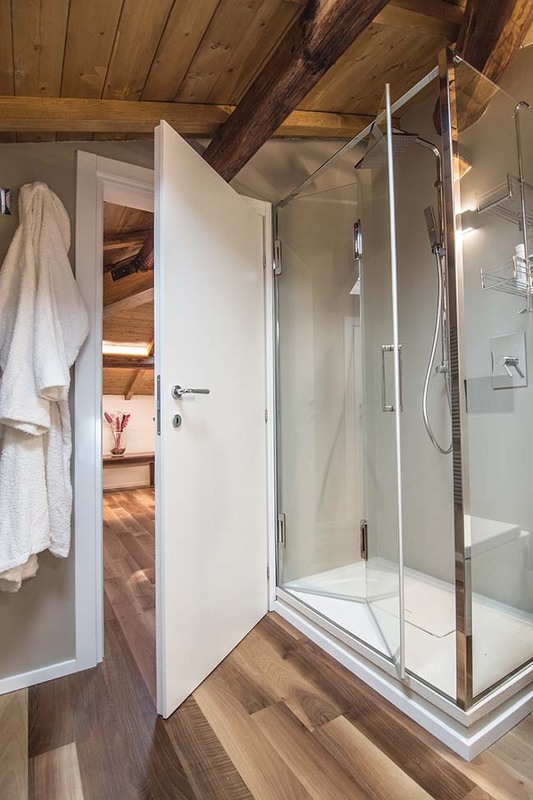 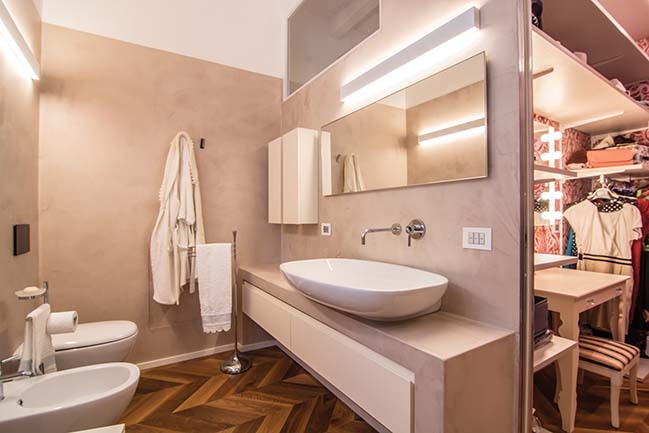 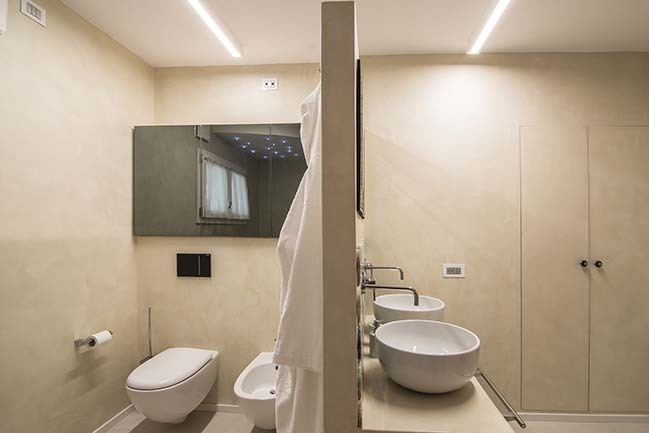 In the four bathrooms of the house the decoration and color combinations vary every time: two are more masculine and made with Kerakoll Design resins, two are more feminine, with softer shapes and made with Rapidmix resins. 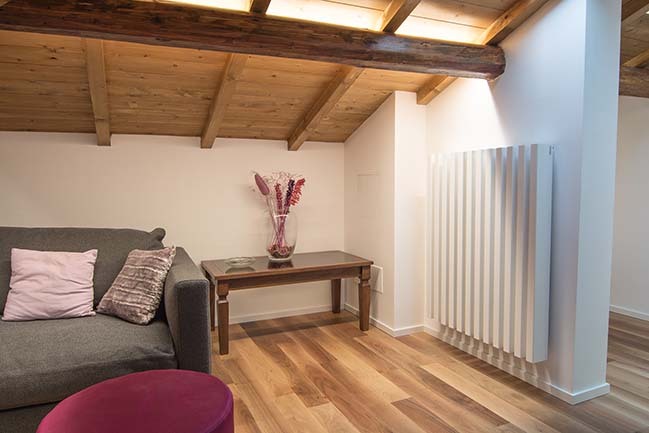 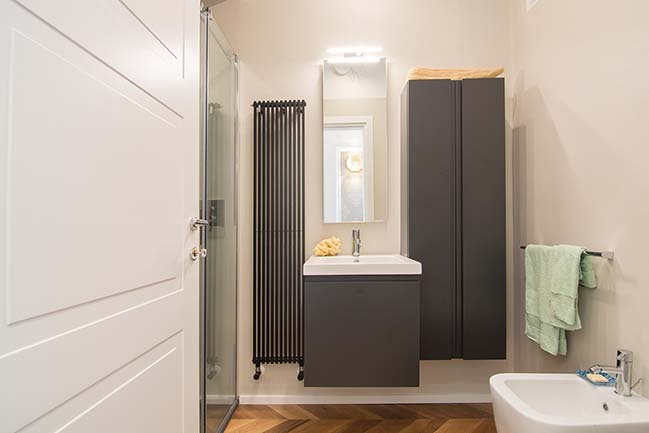 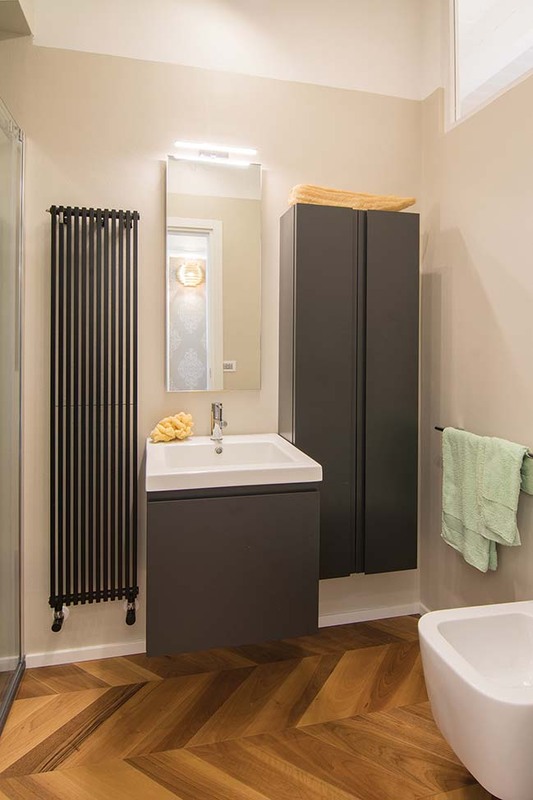 All the home's radiators are Tubes in the Basics, Kubik and Soho models. 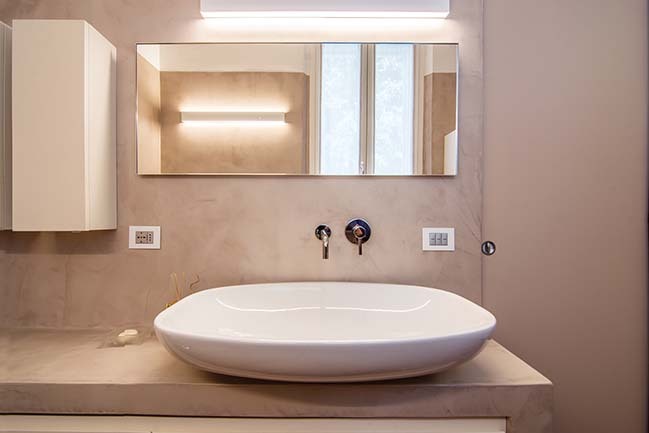 The taps are by Gessi, the Cielo, Flaminia and Arbi ceramic sinks, the Flaminia and Globo sanitary ware. 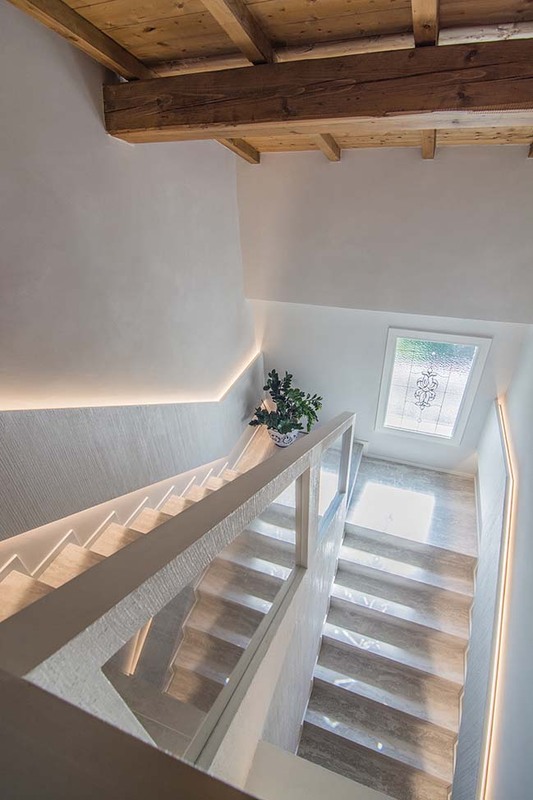 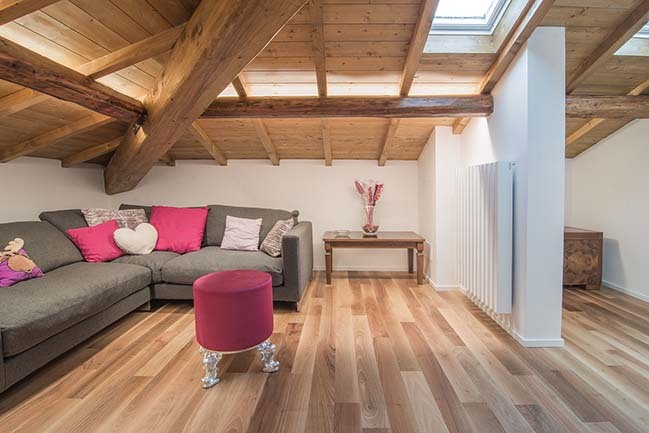 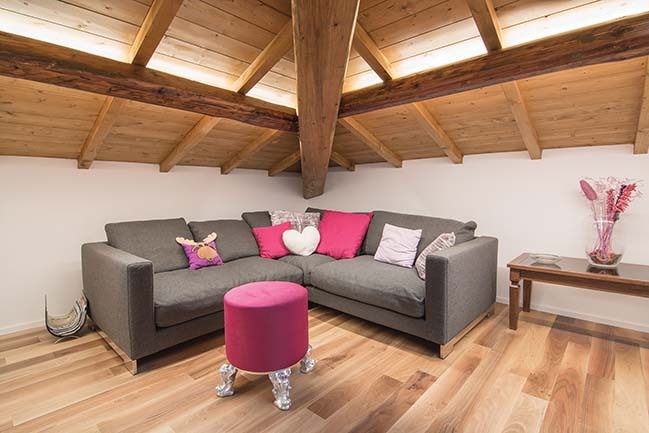 The new floor in fir wood between ground floor and attic floor was bleached with more hands so that the effect was very opaque because it pleased the customer while the under roof was etched. 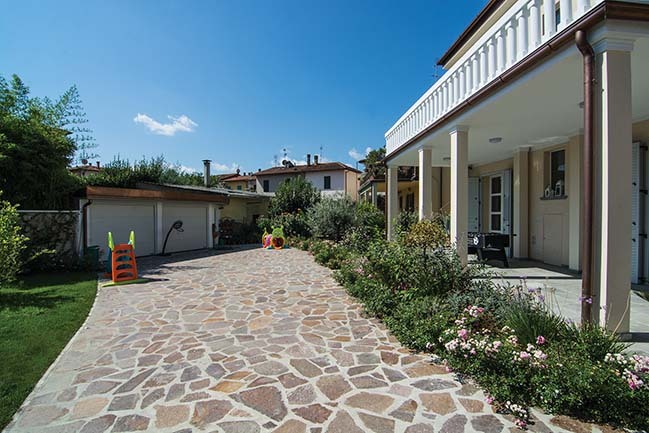 The exterior of the villa has been kept true to its original architectural features, so the loggia and the parapet of the large terrace on the first floor are perfectly integrated with the typological features of the building, also have been inserted in real stone paving on the terraces in all driveways and pedestrian driveways. 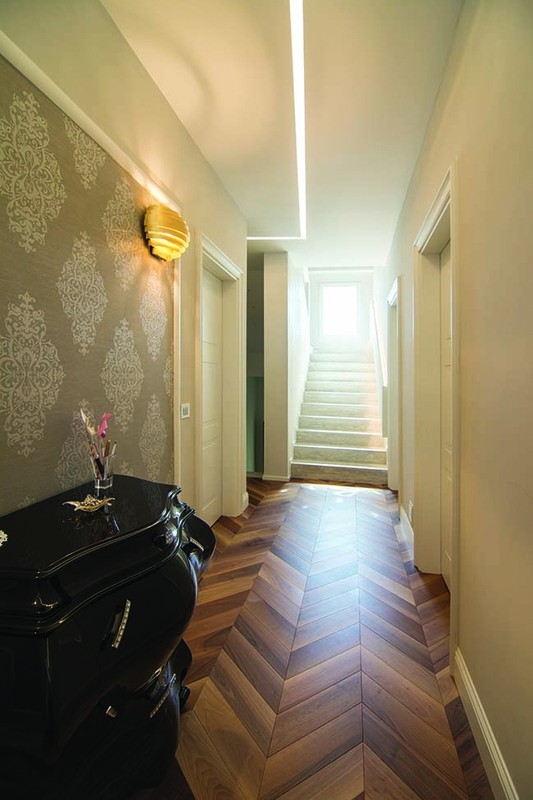 Stairs, thresholds and window sills are in pietra serena, typical of Tuscany.